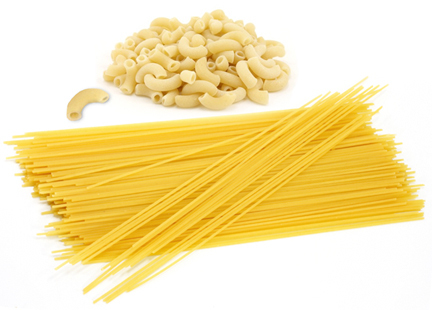 Macaroni or spaghetti: Are they both the same thing? What about your marketing functions? Here is a common question I get about marketing: why doesn’t all marketing produce customers? That is usually asked by someone who has tried a form of marketing that has been unsuccessful in producing more prospects and, in turn, revenue. It is as if they were eating a bowl of mac and cheese, but expected it to taste like spaghetti. Let me explain. Macaroni and spaghetti noodles are both pastas. They are made from the same stuff – flour, eggs, oil and water. These ingredients are mixed and kneaded, rolled and cut into shapes. However, when I think of macaroni and spaghetti, I think of two totally different dishes that taste so dissimilar, I would never confuse one for the other. Now you have to be thinking, it’s not the pasta that tastes so unlike each other, but what you are mixing with the pasta that makes the difference in taste. They have a distinct flavor that differentiates one from the other because one is covered with creamy cheese and the other is smothered in a tomato sauce. We are onto something here! Just like different pasta dishes have different tastes, different marketing functions are designed to get differing reactions from your target market (people made up of both your current customers and potential customers.) We categorize marketing into three phases: Brand Awareness, First Time Sales and Retention. Each of these phases are necessary to make and keep customers. Most of the time when someone tells me they are getting nothing from their marketing, they have tried marketing techniques that are geared for one of the phases (typically brand awareness), but the expectation is that it will produce results that are meant for a different phase (typically first time sales). Let me be very clear: I believe that all marketing should be leading your target to a sale. But one phase leads customers down a logical path that convinces them to go to the next phase. You cannot market for one phase and expect to get the results that happen in the other. That would be like expecting mac and cheese tastes from a bowl of spaghetti. Pasta is pasta, right? It all starts out with the same basic ingredients. There are some common elements to all marketing as well. All marketing has to be appealing to a targeted group of people. All marketing has to be engaging so two things happen. First, the right people see (or hear) and remember what we are trying to communicate and, second, they are prompted to take action on what they see or hear. So when I get a complaint about marketing not working, I try to evaluate the message. Here are some key questions to ask when marketing is not working. Are you communicating in a way to catch the attention of the people you are trying to sell? That includes everything from the images used in advertising, the people who endorse your products/services, the mediums used to reach people, the sensibilities of the targeted group, the message competitors are advertising, etc. Are you communicating a fresh message? Marketing campaigns have a life cycle. How old is the message you are using? Has your target market heard it so many times before they have stopped reacting to it? How relevant is your marketing messaging? Are you listening to the needs of the customer? What are their most pressing needs that your product/service solves for them? Has the marketplace changed? If so, how has your marketing message changed to stay relevant? There was a time when being able to connect to the internet on a phone was a big selling point, now it is commonplace. There was a time when being able to get a fast-food sandwich with just the ingredients you desired was a big deal, but any fast-food restaurant will build a sandwich to order now. It is expected. What features were once a significant need of the customer in your marketplace that has now become unexceptional because it is conventional? Has your marketing changed to reflect the new customer needs? Are you connecting with your target market in a way that they will take action? You have to have a call to action to be effective in any marketing. Are you getting the desired response for the marketing phase you are working in? If not, you may need to either change your medium or update your call to action. There are some common problems that stop marketing from doing its job. Take a look at your marketing. Is it primarily tilted to one phase of marketing? Then you need to diversify and allocate marketing to all three phases of marketing. Do you need to adjust your messaging to do a better job of attracting your target market? Adjust your marketing campaign. All of this needs to be built into a strategic marketing plan. (See my previous article Covering your marketing bases.) This type of planning and evaluating will help you keep your marketing efforts relevant and on task.